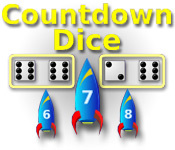 Roll dice to countdown and launch sets of rockets in this explosive puzzle game! 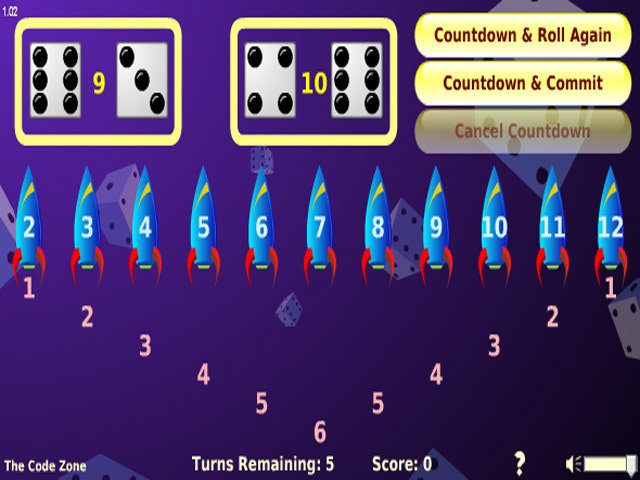 Launch as many rockets as you can in five turns!Launch rockets with dice!Roll dice to countdown and launch sets of rockets in this explosive puzzle game! 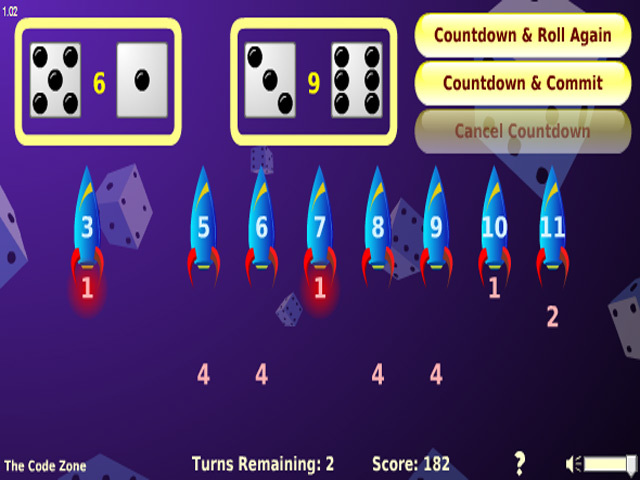 Launch as many rockets as you can in five turns! 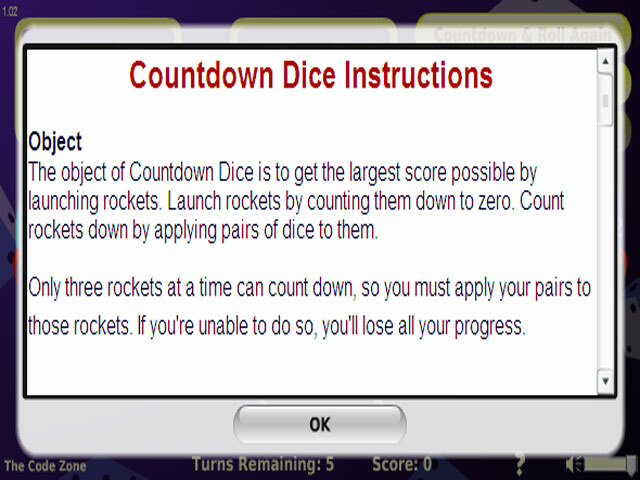 You can launch up to three rockets at a time, but be careful, each roll of the dice must result in counting down one of the rockets, or you'll lose a turn and have to abort the launches altogether.